Camping Neset es un camping en Byglandsfjord, Aust-Agder, situado al borde de un lago/estanque de recreo. Este camping con terreno inclinado tiene plazas sin sombra y parcelas con algo de sombra. Camping Neset se encuentra junto a una playa de arena. Cabe alquilar casas rurales y bungalós. Para aquellos que desean relajarse después de una dura jornada, hay sauna. En los alrededores, podrá nadar en un lago/estanque de recreo. En el Camping Neset se autoriza windsurf, el descenso de ríos/kayak/rafting y esquí acuático. Este inspector visita cada año al Camping Neset y lo inspecciona considerando más de 200 servicios y otros aspectos importantes. El inspector es un trabajador de ACSI y no trabaja para el camping. Superb! The best camping ever! Never seen the like! We enjoyed every minste of the stat. A must to visit! Best site we have stopped in so far in Norway, clean and well laid out with spacious pitches by the waters edge. Staff are friendly and toilets and showers are well maintained. The site is an easy drive from Kristiansand. The campsite looks exactly like the photograph (not always the case), it is on a small peninsula, on the east of the lake about 1.5km north of the small town of Byglandsfjord (which has a Coop general shop). The staff are friendly, helpful and hospitable, creating a relaxed and happy atmosphere on the campsite. We are in a motorhome and had a pitch on the lakeside, on level hard-standing, on a newly built area for about 24 vans. There are 3 toilet blocks, we only used the one nearest our pitch, which seems relatively new. It is well equipped, with plenty of washing rooms with doors, soap and hot water. There are roomy showers. The facilities were kept clean and tidy. There is a pleasant cycle ride alongside the far side of the lake and a short, steep (boots essential, poles recommended) hike to a viewpoint on the hill above the site. Highly recommended, we saw people overnighting, or like us staying a few nights and in other cases people enjoying a longer stay. ¿Desea reservar u obtener más información sobre su camping Camping Neset? Puede hacerlo mediante los datos siguientes o a través de la web del camping. El camping está situado a 13 km al norte de Evje, a 3 km al norte del fiordo de Bygland. El camping está señalado claramente desde la carretera 9. 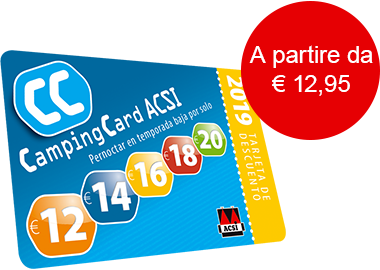 ACSI Eurocampings reenvía su solicitud de información al "Camping Neset".